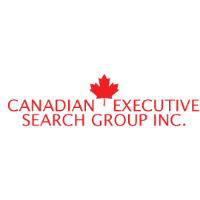 CES is looking for a Sales Manager to join our client’s growing team in Sarnia, ON! You are a senior people leader who has a history of long term commitments to a role and who understands the importance of building trust with their customer service teams. Reporting directly to the General Manager, you will utilize your adaptive leadership techniques and analytical attitude to coach your commissioned sales team to financial success. You are seasoned at leveraging your exceptional communication skills to be accountable for successful financial and non-financial business results. Salary: 40K-50K + 15% bonus program.